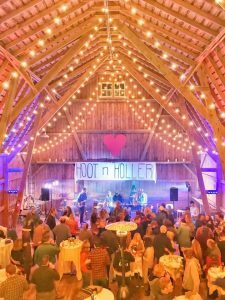 Support our Scholarship Students by Partying in a Barn! Scholarship Golf Classic committee member Karen Forrer has very generously offered to host a party in her beautiful barn to raise money for our student scholars. The barn party will be on Saturday, September 22, 2018 at Karen’s residence in Mequon. There will be live music provided by Rotarian Bill Rotter and Peter Goshman, a tasty BBQ, lots of cold beverages and even karaoke led by Tom Gale! The event starts at 5:30 pm and dinner is at 7:00 pm. Tickets are $100 each and all of the proceeds will directly support the RCM Scholarship Program. To register, please contact the Rotary office. Let’s party!